A new shuttle is available for cycle tourists visiting the Erie Canal Corridor. Erie Canal Bike Shuttle is poised to bring more visitors than ever to the wonderful 360 mile Canalway trail and all that it has to offer. With promotions like Bike and Stay packages in addition to daily cyclist shuttle transport, this much-needed service brings cyclists of all abilities to the fun and adventure of the Canal. 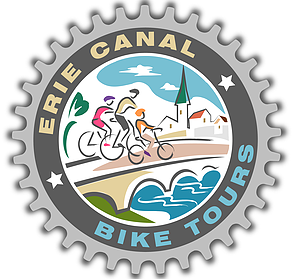 With a variety of shuttle options and prices, and tour packages starting at $125, Erie Canal Bike Shuttle is dedicated to making the Erie Canal a vacation destination that everyone can afford. For Shuttle reservations, tour package or other cycling information, visit www.gobikeerie.com. I am planning a short bike ride on the canal and would like to know if you would be able to shuttle us from Utica to our car in the Dewitt area. It would be July 9th. And could you give the cost.